East London NHS Foundation Trust has outsourced its comms and marketing department, awarding the £2.5m five-year contract to On The Level PR but ensuring the continued employment of its redundant in-house team. PRWeek reported on the NHS trust's plans to outsource its comms in December, when the future of the NHS team was up in the air. Designed to cut costs and make savings, the outsourcing agreement will be a relief to ELFT's six-strong team, as it stipulates they are employed by the PR agency. From 1 May, On The Level becomes responsible for the trust's in-house comms, marketing and engagement. The agency said the move makes it the first private company to take on an NHS trust's entire in-house comms. More typically, agencies support in-house teams, collaborating on campaigns. Dr Mohit Venkataram, the trust's executive director of commercial development and performance, said: "We are a very ambitious trust that takes pride in the quality of care we provide. "We were looking for a provider to help us reflect this and we wanted to see who was out there to take ELFT’s communications and engagement to improve patient care to the next level. At the same time we wanted to ensure staff within the communication team and operational team were supported and cared for by the communication partner in line with the trust's values and vision." On The Level founder and managing director Steve Gladwin, a former NHS comms director, said he was "delighted" to be taking on the six NHS staff. He added: "There are some great communicators in the NHS. They have been battling for years with reduced team sizes and budgets, a lack of investment in training and an increased workload caused by the strain the NHS as a whole is under. Many trusts are already looking to either cut their communications services further, merge them with other trusts or through the process of creating integrated care organisations with local authorities and other health bodies locally. "All of these will make it harder for their distinct voice to be heard. At On The Level, we will make sure their voice is not only heard, but is heard loud and clear through innovation and use of best practice, through investing in our staff’s skills and development and knowing what the NHS is about and what needs to be done." 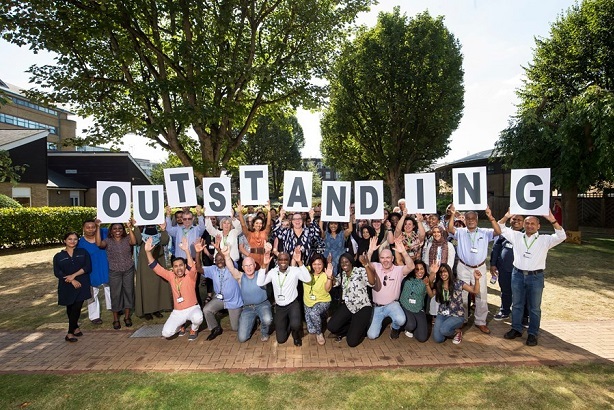 ELFT is one of 10 UK trusts to be rated "outstanding" by health regulator Care Quality Commission, while in 2016 it was named Trust of the Year by Health Service Journal.